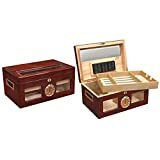 While the Novelist Leather Book Travel Cigar Humidor is beautifully camouflaged on the bookshelf and is an exquisite choice for those out and about for the day, it is not meant for rough and tumble duty nor as a long-term traveling cigar solution. 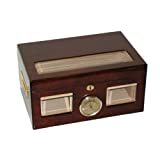 It will keep your cigars safely humidified to be sure, yet it isn’t built to take a beating, and it should not be expected to be a top performer when it comes to long-term storage. 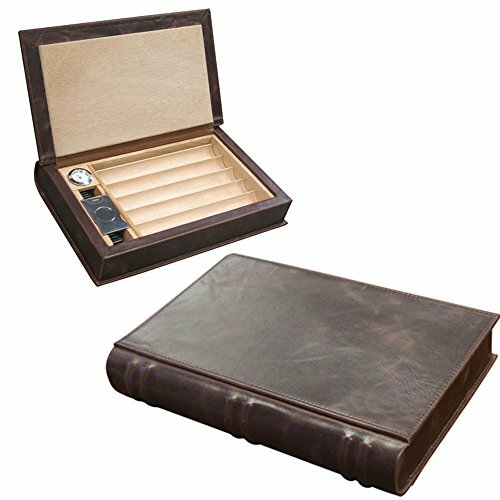 Whether as a short-term travel humidor or simply to keep a few smokes at the ready on a desk top, however, the Novelist Leather Book Travel Cigar Humidor is a wondrous choice that will not only do the job and do it with panache, it will have everybody eying your unique treasure with envy. And at a price under 40 bucks, the Novelist Leather Book Travel Cigar Humidor might just have too much going for it to pass up!